Between now and April 9, 2017, the COR (City of Raleigh) Museum (220 Fayetteville Street) is proud to offer “Beyond Bollywood: Indian Americans Shape the Nation.” This is a traveling Smithsonian Institution exhibit, one that celebrates the history and achievements of Indian Americans in the U.S. and explores the struggles, successes and contributions of Southeast Asian Indians. “It is a great opportunity to tell the story our rapidly growing Indian community through exploring Indian American’s impact on American history,” said Ernest Dollar, Director of the COR Museum. 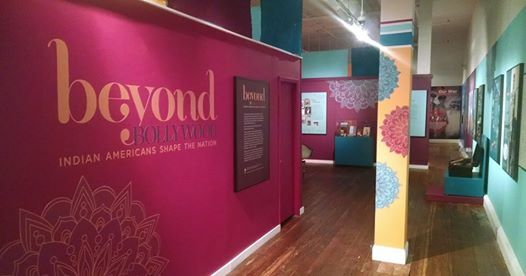 “Beyond Bollywood” was created in collaboration with the Smithsonian’s Asian Pacific American Center with the goal of going beyond the stereotypes of Southeast Asian Indians by exploring their daily lives, to struggles in a new country and contributions to food, culture, and politics. The Smithsonian Institution’s Traveling Exhibition Service launched the traveling exhibit in May 2015 with the COR Museum being only the sixth institution to host the exhibit on its inaugural tour. In addition, the museum is partnering with local groups to present a series of public programs and events to highlight Wake County’s connection to the exhibit, such as dance classes, yoga and much more. Many of these events are open to those of all ages. For more information about “Beyond Bollywood,” visit www.cityofraleighmuseum.org or call 919-996-2220. The museum is open Tuesdays through Saturdays from 9 a.m. until 4 p.m., and Sundays from 1-4 p.m. Admission is free, though donations are graciously accepted. Founder of Raleigh Philosophical Society and lover of all (most?) things Raleigh.